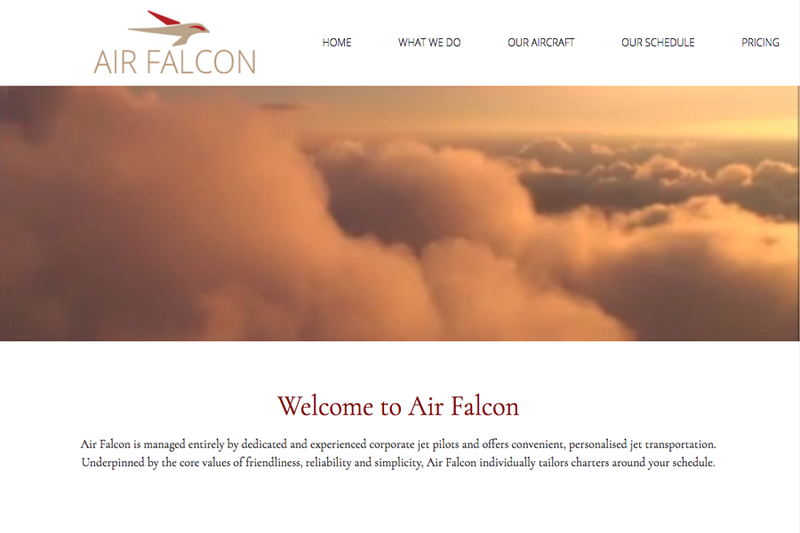 This week's website of the week goes to Air Falcon. 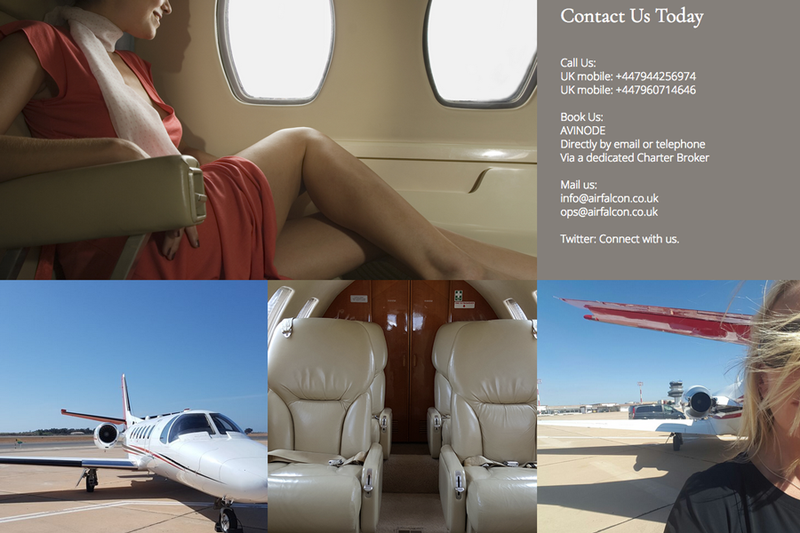 Air Falcon is managed entirely by dedicated and experienced corporate jet pilots and offers convenient, personalised jet transportation. Project Manager Lanara designed this website and created a full width panel website, with a video header and the end result looks fantastic! 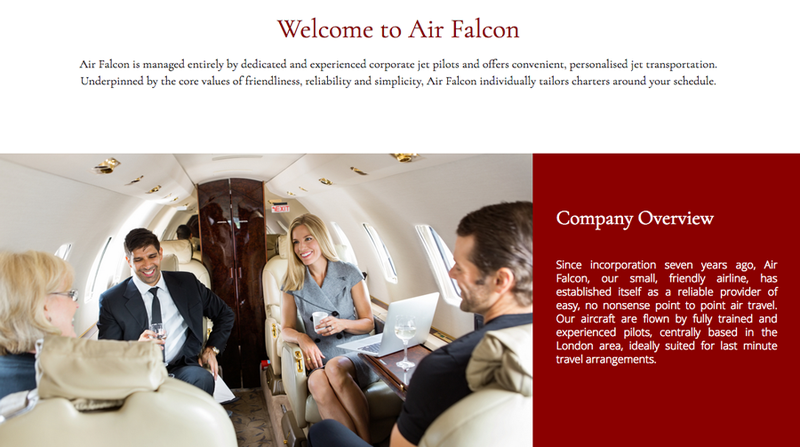 The website features an strong colour scheme of white, red and gold. The sunset shown in the video header image also complements the overall look and feel. The website features youtube videos to watch, a widget for the schedule page and lots of hover over functionality to make the website more interactive when exploring it. The website has five pages which can be accessed via the menu item at the top. This makes for an easy to use feel and straight forward process. 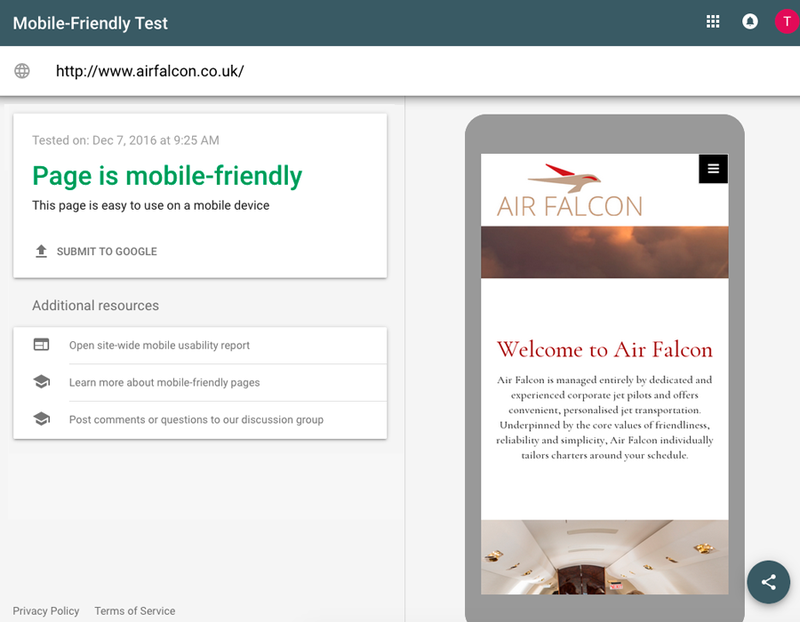 The website passes Google's Mobile Friendly test, meaning that the website is fully responsive and optimised for Google mobile searches. This is imperative for being found on mobile search for people that are on the go. Our web design packages include everything you need for the perfect website design. Did you know... that you now can also have a video background on your website like this one? Simply get in touch today.